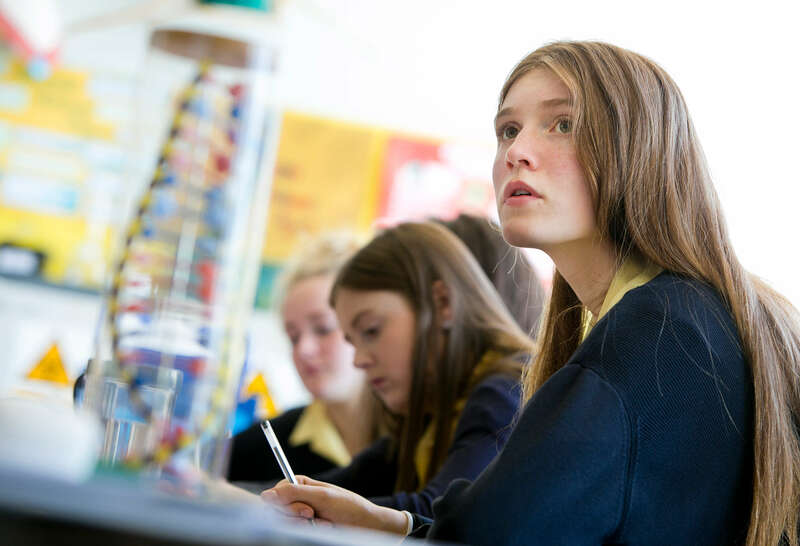 In different subjects teachers regularly give girls advice on how to revise and prepare effectively for exams and assessments. We thought it might be helpful for parents to have a summary of useful strategies for that moment when your daughter asks you for help. Ms Hawthorn in Support for Learning has put together these helpful tips. 2. Colour code the timetable to give a good overall visual idea of the subjects that need to be studied. 3. Study for short periods of time (20-30 mins) then have a break; walk to the kitchen to get a drink, toilet break etc. 4. Use study techniques such as highlighting key points, spider diagrams, brainstorming, use memory cards with questions on one side and answers on the other. Remind pupils that they can come and ask at Learning Support if they need help with this. 5. Use lists of outcomes and ‘traffic light’ the points. Study the ‘red’ areas first at the start of a study session and then finish your study time with the ‘green’ known points. 6. Record model answers on an iPod/phone and play it back through headphones on journeys to and from school. 7. Try different study techniques for studying different types of information. One method may not work for all topics/subjects. 8. Practise timings using actual past papers from the SQA. This is worthwhile as it will let you see the pace you should be working at. Revise a topic and then test yourself on specific questions about that topic first before attempting whole papers. Always check your answers (or get a teacher to check them for you) and evaluate how you did. Focus your next study session on what you didn’t do so well last time. 9. Set up an area in your bedroom to study or a place in the house where you will not be disturbed. If it is in your room, aim to pack your books away when it is time to sleep. Good restful sleep is important at study time. 10. Too much tea/coffee or high caffeine energy drinks is not good as these can add to feelings of anxiety. 11. Eating regularly with not too many unhealthy snacks is also important but treats can be used as rewards for working hard. 1. Check the exam timetable – are you sure where the exam is being held? 2. Allow plenty of time to get there – no last minute panic. 3. Eat a sensible breakfast; a banana is good on a nervous stomach; take a bottle of water with you. 4. Take plenty of pens, your calculator (if allowed) and any other equipment you need (e.g. highlighters); use a clear plastic pencil case. 5. Read and listen to all the instructions carefully. 1. Read the questions carefully (more than once if you have to). 2. Decide which order to do the questions. You may want to spend most time on the questions you can do well. 3. Highlight key words or phrases in questions and in the text. 4. Estimate how long each answer should take; write it on the paper beside the question. 5. Allow time for choosing, planning, writing and at the end proof reading and correcting. 6. Re-read the question when checking your answer; did you answer what was asked? Check the directive words – explain, describe, analyse, evaluate. 7. Use the digital reader (if allowed) to have your answer read back to you; you may notice something that the spell checker has missed. Or you may find what you have written does not make sense. 8. Check the time after each question is completed. 9. Attempt all questions; do not leave empty spaces in your paper at the end. 10. Do not leave the exam early; if you have lots of time left you need to go back and check again that you haven’t missed something out.